2013 was a challenging year for the window and door industry as a whole. After decades of consistent growth, the market seemed to be flattening out, leaving more and more businesses competing for fewer opportunities. 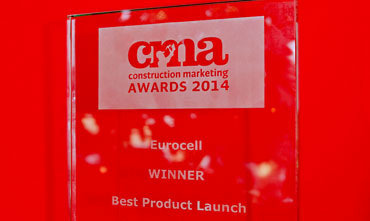 Waiting in the wings was a completely new Eurocell product. One that would reinvigorate the market and change the way the industry approached new build and replacement specifications for good. The Modus concept was born in June 2012 with the agreement of a £3m product development budget for an advanced new PVC-U profile. The world’s first fully integrated 75mm window and door system would feature 3 sash styles, including a completely flush option, with cutting-edge design to set it apart from the chamfered and ovolo profile systems that had dominated the market for decades. By June 2013, Eurocell’s development team had brought Modus from a proof of concept prototype to a market-ready product. Now, it was down to the marketing team to create a launch campaign that would match Modus itself for precision, innovation, effectiveness and value. The challenge was to find a way of positioning Modus within its three key markets; the fabricators who would assemble it, the architects who would specify it; and the installers who would fit it. Because it would significantly change the way all three groups thought about PVC-U window and door systems, the solution was simple: Modus would be ‘The Game Changer’. With the key theme in place, it was time to roll out a phased campaign announcing the arrival of the industry’s first completely new profile system in 10 years. 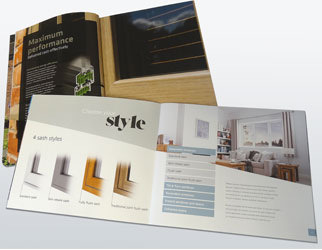 Stage 1 targeted the high-value fabricators whose buy-in would be essential in fulfilling orders from specifiers and installers. Members of this influential group were invited to launch events across the UK where they were introduced to Modus ‘Game Changer’ marketing material and given privileged access to a responsive design website. In effect, they were given Modus exclusivity for a full six months before the wider market in recognition of their importance to the process. The second stage of the campaign targeted architects, housebuilders, property developers and general builders via direct mail, advertising, video, brochures, PR, email and social media. Each element in the communications mix reinforced all the reasons Modus was a game changer - for the general builder because of its flexibility, speed and cost savings; and for the specifier, housebuilder and property developer, because of its superior performance over wood and aluminium, high recycled content and aesthetic appeal. Modus was also unveiled at Ecobuild 2014 during this phase, where its excellent thermal properties and recycled content made it a focal point at the industry’s leading sustainability event. Next came further activity targeting the wider profile fabricator market and a general trade launch timed to coincide with the FIT show in June 2014. And finally, with the industry primed and ready to take up Modus, a consumer campaign spearheaded by a record breaking Grand Designs magazine promotion and email marketing to 15,000 Eurocell customers. Like all marketing campaigns, the Modus launch had been planned with clear, measurable objectives in mind. Among them was an ambitious target of 2700 quotable enquiries and 3 housebuilder specifications in first 12-months. In the event, nearly 3500 quotable enquiries were received and 3 specifications secured from among the UK’s top 20 housebuilders. Proving that, although recent imitation by certain other players in the PVC-U industry is flattering, nothing comes close to matching the original ‘Game Changer’. For more information on Modus and new Modus S, visit their pages.